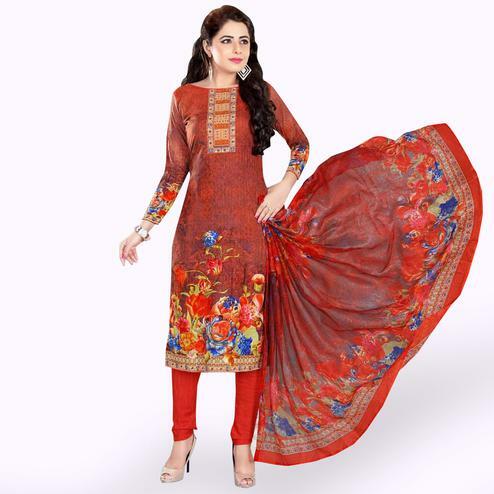 Get your casual wardrobe updated with this red - beige floral printed suit. 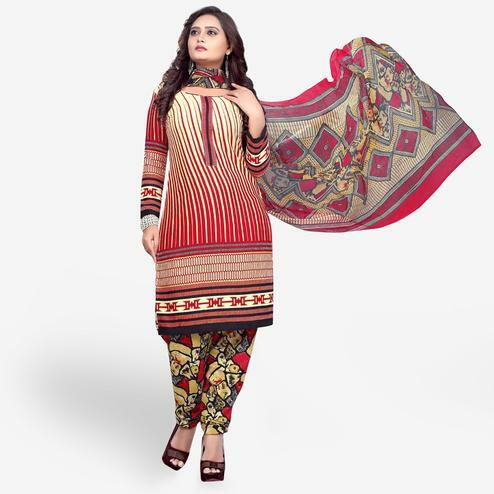 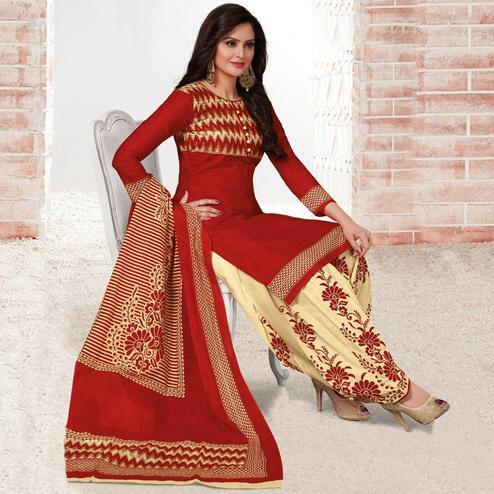 This unstitched suit is made from crepe fabric which is comfortable to wear all day long. 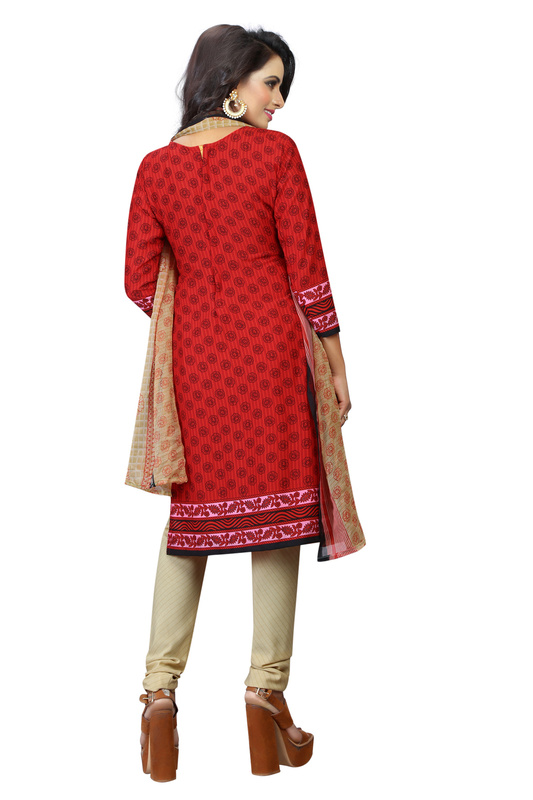 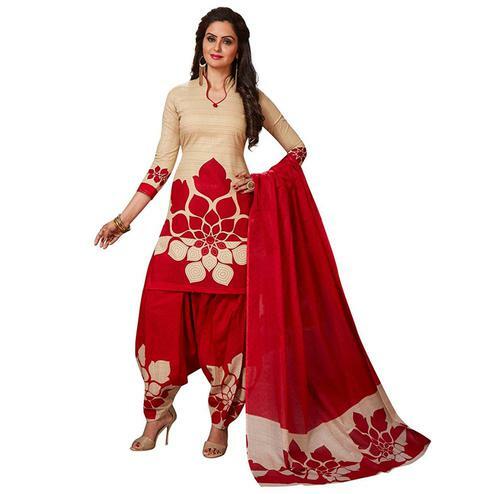 It comes along with beige printed crepe bottom & dupatta. 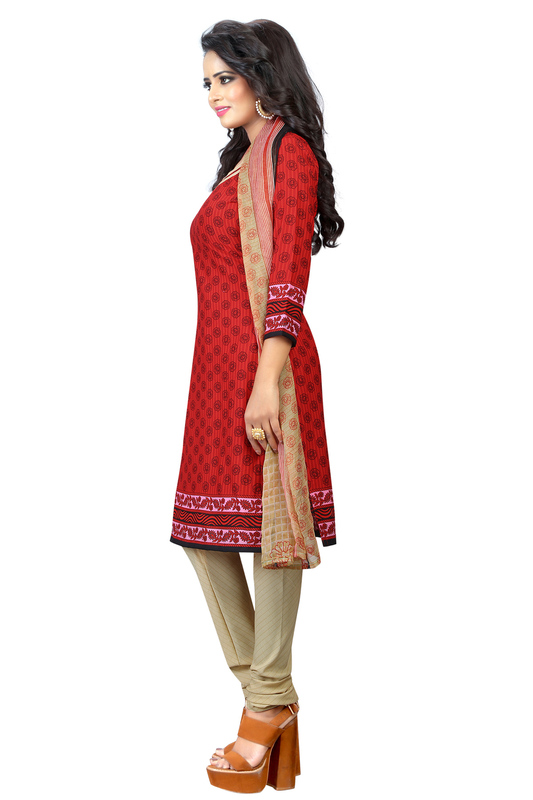 It's a perfect attire for office wear & casual outing.